If your child were to develop a growth hormone deficiency that was inhibiting his or her normal growth, it is highly likely that your family health insurance would cover the cost of corrective medical treatment. But under what conditions will insurance cover HGH therapy for adult men and women who develop growth hormone deficiency symptoms? As you may have already heard, many health care insurance policies have narrowly defined the medical conditions under which they will agree to provide coverage for the medical treatment of this hormone disorder. Why is this? 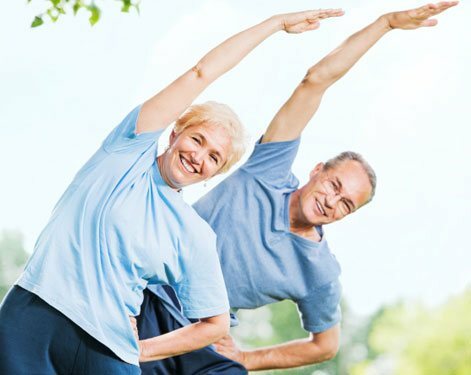 Most hormone replacement therapy providers agree that it is the fact that the medical use of injectable human growth hormone for a symptomatic and measurable adult-onset deficiency has “only” been in practice for the past twenty years or so. In insurance terms, that often makes it a treatment that they deem to be experimental in this instance; yet there are certain relatively rare medical reasons for the development of a growth hormone deficit – such as brain injuries and diseases affecting the endocrine system – where treatment is far more likely to be covered. The ultimate outcome as things currently stand is that you probably shouldn’t count on your medical insurance to cover the cost of your treatment for growth hormone deficiency; but you should definitely contact them up front and ask them will insurance cover HGH therapy if I require it? There may be particular circumstances where they will cover your treatment, or you may find that you will need a referral from your primary care physician, or you could even be pleasantly surprised to discover that your treatment costs will be covered. All policies are different and change their terms frequently. So go ahead and get the facts on your coverage straight from your insurance provider … but let it deter you from your ultimate goal, which is to eliminate your deficiency symptoms and restore your vitality through the use of an HGH therapy program. Is There a Difference Between HGH Therapy Doctors and Clinics? What’s in a name, in regard to will insurance cover HGH therapy? Are insurers any more likely to provide coverage depending on whether treatment is provided by a private practice doctor or a hormone replacement therapy clinic? Since all medical uses of human growth hormone injections legally require a prescription for treatment that has been issued by a licensed medical doctor, it typically makes no difference to them whether the medical provider is in private practice or is affiliated with a clinic. Who medical providers matter most to are patients like you who want to receive safe and effective HGH replacement therapy for your symptoms; patients who want to be treated compassionately, competently and conveniently – at a fair cost. So whether any medical provider calls itself an HGH therapy clinic, or an HGH therapy doctor, or a hormone replacement specialist, that part is just a professional name. Naturally, you will want a provider that can be trusted with your medical treatment; so how does anyone determine this in advance? You ask questions, just like the questions that you will be asking your insurance provider. Anyone can contact a respected provider of HGH replacement therapy like Nexel Medical and ask us anything you want to about our credentials, our experience and our business practices. You can also ask us specific questions about treatment procedures and patient support services, including the most relevant question of all: Are they available to you locally? They are … because Nexel Medical has created a nationwide network of physicians and clinical laboratories that allows us to provide local treatment to patients regardless of where in the US they may live. How Much Will HGH Therapy Cost Without Insurance Coverage? If you find out that the answer to will insurance cover HGH therapy for me is no, your next question is probably going to be how much will it cost me? And you certainly are not alone in this; most of the patients who are currently using a doctor prescribed human growth hormone replacement program are paying for it themselves. So apparently these adults have reasons to believe that it is a worthwhile investment in their health and happiness. What is it costing them? It depends on their individual requirements and goals for treatment. It also depends on where they are receiving their treatment, since there are no standard prices for HGH replacement therapy and they probably vary about as much as other medical treatments vary. Then what will it cost you? An experienced provider like Nexel Medical can tell you that once you have been tested and evaluated by our doctors. In general, the monthly cost of using human growth hormone injections could be several hundred dollars; and the way that HGH therapy is typically prescribed is for a 6-month cycle of treatment, followed 12 months with no treatment, and then back to a 6-month cycle and so on. Comparatively looking at the cost of treatment, it unquestionably works out to be less than many adults spend on fitness memberships, expensive nutritional supplements and personal trainers on an annual basis – and the benefits of using HGH therapy can be far more dramatic than the ones produced by any of those other investments. So by all means, check into will insurance cover HGH therapy; but if at all possible, don’t let the answer determine whether you eliminate your unhealthy growth hormone deficiency symptoms or not.